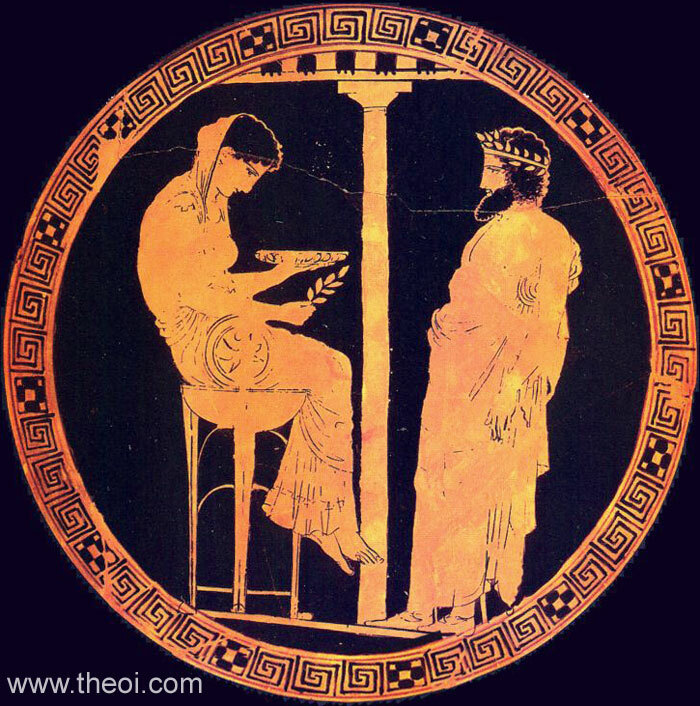 Tondo: The childless King Aegeus receives a prophecy from Themis regarding the birth of his son. The goddess is seated on the Delphic tripod in the role of Phthia, prophetess of the oracular shrine. 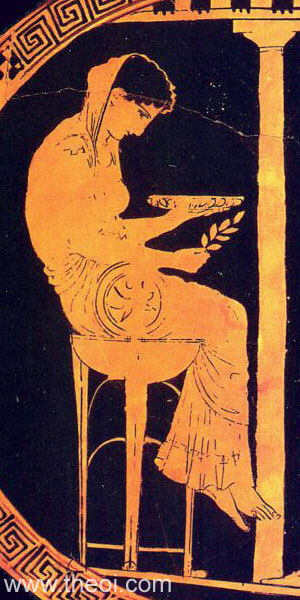 She holds a cup (phiale) in one hand and a sprig of laurel in the other. Sides: The Calydonian Boar Hunt (not shown).